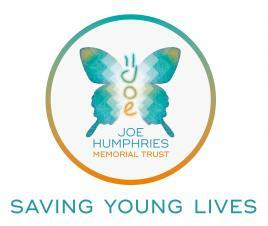 The Joe Humphries Memorial Trust has been set up to: break the 'silence' on SADS, create a new generation of young life savers and inspire young people. 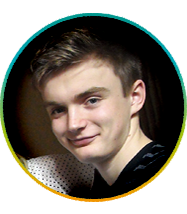 The Trust was set up after the tragic loss of Joe Humphries who died while out jogging with his friend in October 2012.
to inspire young people to fulfil their potential. To maximise the chances of survival of those who suffer a heart arrhythmia by the teaching of both CPR skills and Defibrillator Awareness. The JHMT focus is primarily on those most likely to be in close proximity when such an incident occurs and thus targets those who engage in and/or support young people in the whole range of active sports and leisure pursuits. JHMT fully supports the introduction of CPR training within schools and is delighted that it will soon become entrenched nationally in the school curriculum. Currently in Leicester and Leicestershire this is provided by JHMT and other organisations and we encourage all institutions to adopt CPR training and Defibrillator Awareness into their core training. 1. An annual SADS Conference / Workshop for medical and associated professions. This will include ECG interpretation, the presentation, incidence and outcomes from SADS and "hands-on" CPR training. This will take place in March / April each year. 2. A series of lectures encompassing SADS, CPR training and AED acquisition with a particular focus on sports practitioners (e.g. PE Teachers, school nurses, sports coaches, and sports managers). This will also form a key part of the programme during the annual SADS Awareness Week – first week of October. 1. The investigation of patients deemed to be at risk of a sudden cardiac event. 2. The investigation of SADS-affected families after a tragedy has occurred. Fund a bereavement support specialist within UHL. The aim of the holder of this post is to improve and standardise the support currently provided to families following an unanticipated death in those up to the age of 18. This will include cardiac-associated deaths and will help the families deal with the difficulties experienced at this time, including guidance through the coronial system. The funding will be for one year and will be reviewed prior to offering an extension of funds. To establish and develop further the Inspire Awards Scheme programme within Leicester and Leicestershire for young people, 13 – 21 years old, which will enable them to develop their full potential and capabilities.